I am not the type of person who writes reviews. I usually like to dedicate that time to eat or watch something but I was somehow shocked over the lack of reviews for this drama. And here I am. Two words that really describes this drama is: Dark humor. It seems to be a series where you will either love it or hate it and clearly it is not a drama for everyone. A lot of people seem to really dislike the idea that they are somehow "romanticizing" the saesang behavior in the show, but I wouldn't say that that's the case. Instead they have taken a really weird and awful situation and turned it to a very extreme and twisted story. There are a lot of things that are morally and behaviorally wrong in this drama but you just need to take everything with a pinch (maybe a scoop) of salt and just enjoy each episode. Each actors did a quite good job with their weird roles and I really enjoyed how the drama went from a bad kidnapping story to an action/thriller filled with light slapstick comedy. It is a perfect "in-between" drama to watch for a break from heavier shows to just lighten up the mood. The only downside was the slow first episodes and the rushed ending (Ironic much?) but it doesn't leave you irritated, just sad that there wasn't one more episode. You just need to plow through the first two episodes and after that you are up for a wild ride. 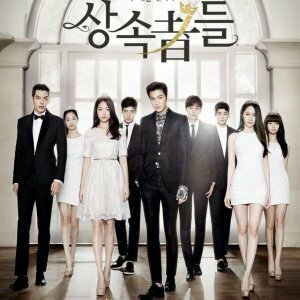 In conclusion, you will not regret watching this drama, especially if you have a really bad sense of humor. I have just finished watching I Picked Up A Star On The Road, and felt the need to write a review. This is actually my first time ever reviewing a drama but I have so many thoughts that I wanted to express within a review. So here goes nothing! First I want to start off by talking about the premise for this drama, which is both crazy yet hilarious. One of the things that drew me in right away was this idea of an accidental kidnap. 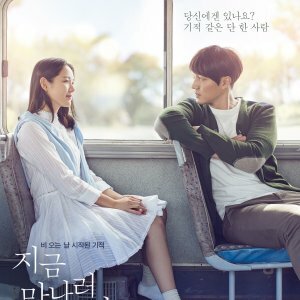 The premise instantly felt unique and interesting and like something I haven't seen in the drama world. In the beginning of the drama the plot of the accidental kidnapping was super humorous yet also absurd at the same time. Thinking back a lot of the characters decisions seem a bit over the top and far fetched but that's where I think this drama got a lot of it's charm. To a casual viewer they may feel uncomfortable with this idea of a kidnapped celebrity but the drama does it in such a way that the overall plot is more humorous and not sinister at all. Everything within the situation such as Joon Hyeok's attempts at escapes to Yeon Seo's attempt to keep the kidnapping a secret come across as somewhat absurd and over the top and make you think "well why doesn't he try this?" or "why is the neighbor so gullible?" but again that's where the charm comes from. In a way the drama gives off somewhat of a satirical vibe where you aren't supposed to take any of these situations seriously. The decisions are absurd and even down right insane sometimes but that just makes the situation and drama that much more comedic. I honestly couldn't stop laughing throughout each episode. 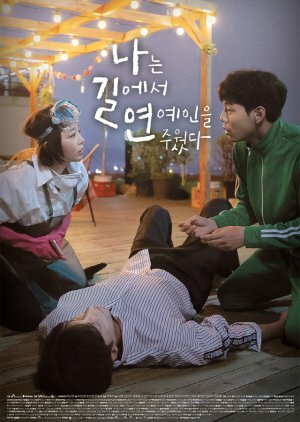 This drama is one that does take awhile to get used to since it's taking a very disturbing situation of kidnapping and making it comedic and essentially bends genres but if you like a sort of absurdist, satirical almost borderline black comedy I would give this drama a try. And now on to acting. When I first came into watching this drama I had already seen Sung Hoon and Kim Ga Eun in dramas and knew that they would be great actors (I had no worries here). It was nice to see Sung Hoon in a comedic role as the first role I saw him in was My Secret Romance, and I felt like he pulled of the comedy really well. Kim Ga Eun I had originally seen in Because This Is My First Life and I enjoyed seeing her in this different kind of role as Yeon Seo. I thought she did an exceptional job as well being able to go from crying to comedic within a scene. Other than the two main actors though I knew none of the other main and supporting actors which actually made this a really interesting watch, actor wise. Being an avid drama watcher I'm used to seeing the same actors within dramas so it was nice to see new faces. All the other main and supporting actors seemed to do a good job. (Honestly I'm not a very good acting expert). From my viewpoint everyone acted according to character and no one seemed stale or unemotional. And now on to the bad. 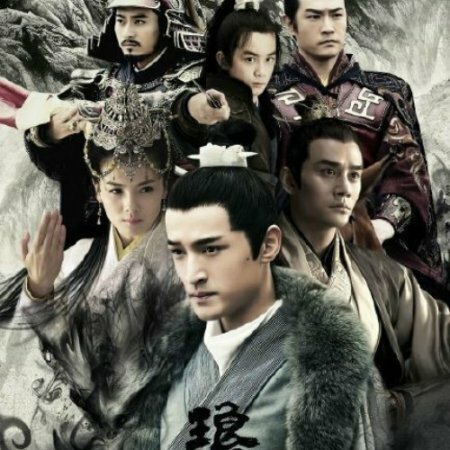 Even though I adored the first half of the drama near the end it began to morph genres a bit more than I would have liked and kind of adopted a new tone and overall feeling from the beginning episodes. Throughout the drama there were always great comedic moment but around a little over half way the drama seemed to change into something different from how it started. Near the end I did start to become a bit bored and missed the feeling of the first few episodes. Another complaint I had was how the drama seemed to lack a lot of character depth and backstory, the characters kind of just exist. I think Yeon Seo is the strongest character with more depth and backstory to her than other characters. When it came to Joon Hyeok and the neighbor Nam Goo there seemed to be less character depth there and I found myself wanting to know a lot more about them then just the basis information we are given about them throughout the drama. The hard thing though is how short this drama is which didn't leave a lot of room for backstories and character depth. That's where I think this drama both took on too little yet too much in terms of story. In the beginning there is the story line of the kidnapped celebrity, figuring out how to keep him secret which ensues a lot of crazy antics, the work life of Yeon Seo as she struggles to make money, and also the budding relationship of the two main characters within this kidnapping setting. But yet I feel like there could have been more meaningful conversations between the main characters. There was quite a bit of plot stuff but I feel like if that was cut back a bit more and the characters were given more of a chance to be explored the drama would be stronger (with this though it's hard to know if more character depth would sacrifice some of the hilarious decisions, so I'm kind of torn). Another gripe I have is the love story. This like many of the characters was really underdeveloped and unexplored. As a screenwriter I see a lot of things that I would like to change about this drama but at it's core it was an easy, enjoyable watch. I do think this drama has been getting a bad rep for possibly romanticizing kidnapping/saesang behavior which in some ways it could be viewed as but in reality this drama isn't going for realism and for things to make rational sense. I would argue that it's main goal seems to be an absurdist, over the top comedy and yet also a drama that ends up bending the expectations of what you think will happen. 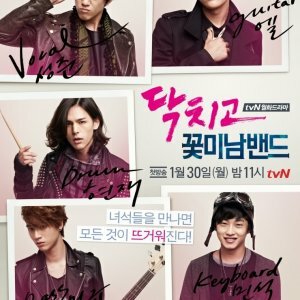 If you want to watch a quick, hilarious drama with an insane plot line I would definitely recommend.